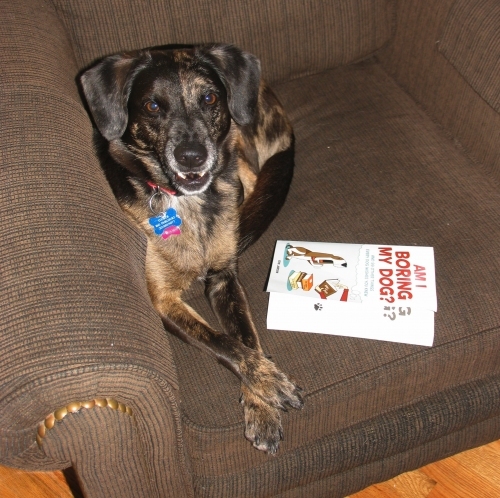 Meet my latest book reviewer: What a dog! | Will My Dog Hate Me? I’m afraid I don’t have time right now to get into a thorough discussion of how — and under what circumstances — dog is a pejorative term. I trust that everyone who reads this blog is aware that, ignoring any linguistic conventions, I consider being compared to a canine the ultimate compliment. So I was thrilled when I discovered that the latest reviewer of my new book, AM I BORING MY DOG, was in fact a dog. Meet Tucker the Wonder Dog, who shares a home with Kath Usitalo, one of the winners of my What Books Would Bore Your Dog contest (if you need a good laugh, check out the entries). There’s lots of useful stuff in this book, like tips on health, from minor ailments (see note above about eating just about anything) to serious stuff like Frankie’s diabetes, baths (NO!) and how to play (YES!). 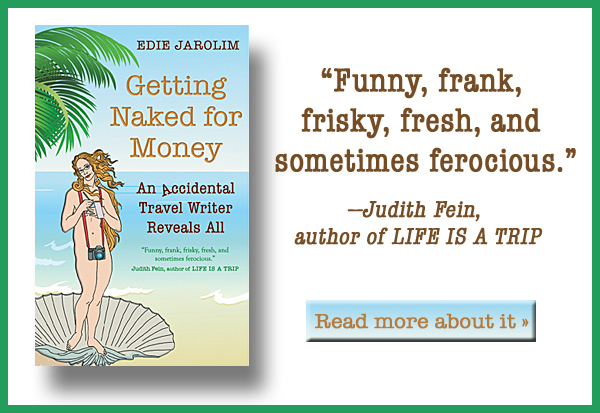 And on every page Frankie and Edie manage to tickle our funny bones (bones?!). If you have a dog or are thinking about getting one run (run? I’m ready!) and buy this book! Neither you or your dog will be bored. For the rest of the review, see The Great Lakes Gazette blog. Incidentally, the timing for this review couldn’t be better, as I’m gearing up to start a new contest, one that involves pictures rather than words and goes back to this blog’s original dog dressing mandate.